The words from Nina Sky’s 2004 hit “Move ya body” have been running through my mind lately. Ooo Ooo Move ya body, girl, make the fellas go …. The sinuous melody and words go round and round in my head. On that note, in the past seven months my weight problem has reversed from struggling to keep the pounds off to working to hold my weight steady at a healthy level. Since I started averaging around 20 miles a day on my bike, my weight problem literally melted away. 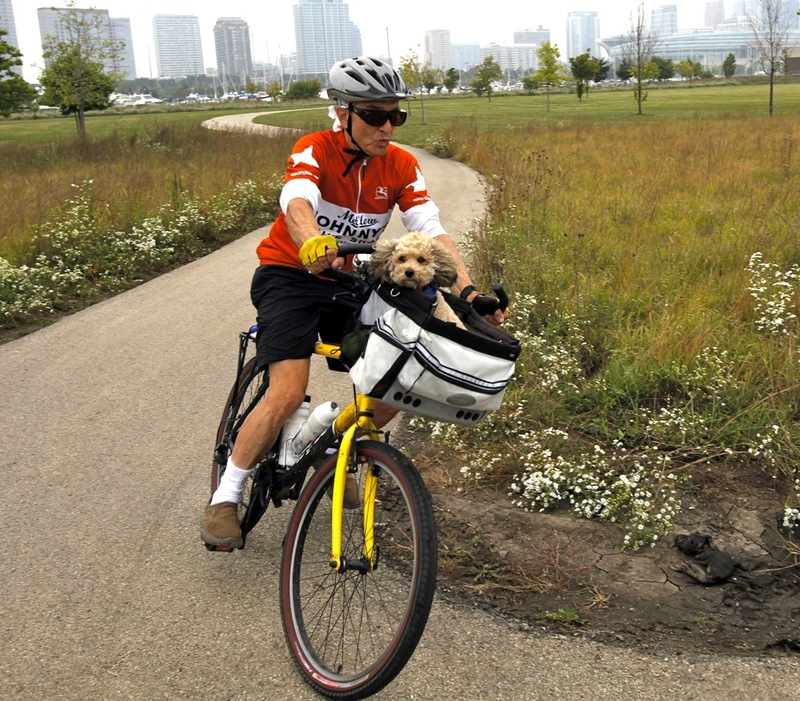 It takes about two hours to ride 20 miles as I stop several times to let the dog out of the basket to stretch her legs. I also take an energy break myself and chew on one of the energy bars that I wrote about in the past week. Riding 20 miles burns around 1000 calories which increases my daily budget around 50% to 3000 calories. As a result, instead of cutting back on my portions, I have been expanding them. I also have space for daily healthy snacks. I enjoy tamari-roasted pepitas (250 calories/18 grams of protein in two ounces) every day as well as at least one tablespoon of peanut butter (95 calories/4 grams of protein). I also find room for some chocolate and chips. It seems to me the key to healthy weight management is finding an activity that you really enjoy that ‘moves ya body.’ I love riding my bike so that works for me. What works for you? There is aerobics, running, rowing, basketball, handball, swimming, walking, chopping wood, dancing. Surely there is an activity there that you could have fun with and manage to do for an hour or two a day. Cycling is by no means the most efficient calorie-burner. Many of the above activities burn more calories per hour than cycling, so you wouldn’t need a full two hours to do it. Can you expand your travel time to/from work? Walk to/from the train every day? Walking burns 100 calories per mile at a slow pace. If you walk faster you can burn more. Burning 200 calories a day removes nearly two pounds a month at a rate of 3500 calories per pound. Adding just that simple activity would reduce more than 20 pounds a year. If you had started last October you could be 20 pounds lighter right now. Have you even managed to keep the same weight that you were last October? I realize that I am retired so I am not in the flow of pursuing a career with all the daily demands that entails. On the other hand, I think most folks live generally sedentary lives and adding ways to ‘move ya body’ can only work in your favor in terms of good health and weight management. I really like the fact that folks who live long lives engage in consistent lifelong strenuous activity. Perhaps integrating some kind of activity that ‘moves ya body’ can not only help you maintain a healthy weight, but can actually contribute to a longer life.